If you’ve ever been aware that you were dreaming before waking from a dream, you’ve experienced what’s known as a lucid dream. While some dreamers are able to control what occurs in the dream as well as the characters and visual elements, this is not necessary for a lucid dream. What makes a dream lucid is the awareness of dreaming. The term lucid dream was first used in an article written by Dutch psychiatrist Frederik Willem van Eeden in 1913. Van Eeden had studied his dreams for nearly twenty years before coining the term in an attempt to describe dreams of unusual mental clarity. Lucid dreaming as a concept has long been a subject of fascination, and goes back hundreds of years. The first recorded mention of lucid dreaming may have been in 350 BC, in Aristotle’s treatise On Dreams. Lucid dreaming is an essential element of Tibetan Buddhist dream yoga, as well as the ancient Hindu practice of yogic sleep. Both practices encourage the control of dreams as a pathway to enlightenment. In dream-related yoga, the lucid dreamer may be encouraged to change the size of objects that appear in the dream, and to eliminate fear in the dream by touching fire or other normally threatening substances. In normal dreams, consciousness, control, and self-awareness are typically absent. In lucid dreams consciousness and dreaming overlap, creating the unique sense of awareness during sleep. This awareness may allow the dreamer to direct events, perform impossible physical feats such as flying, and control the actions of characters. Lucid dreams were the subject of much speculation and debate until 1978, when sleep studies began to prove their existence. Sleep researcher Keith Hearne realized that, like other types of dreams, lucid dreaming tends to occur during REM sleep. Though most of the body’s muscles are paralyzed during REM sleep, the eyes are not. To communicate during a lucid dream, one of Hearne’s study subjects was able to move his eyes left and right eight times successively to communicate his awareness of dreaming. His signals during dreaming tended to occur early in the morning toward the end of a stage of REM sleep. Later studies showed that lucid dreaming often occurs during moments of particularly high arousal, or change in brain wave activity, in the outer layer of the brain. Recognition of dreaming may occur specifically in the dorsolateral prefrontal cortex, where working memory, planning, and abstract reasoning occur. Is lucid dreaming the same as dream control? Though similar, lucid dreaming and dream control are different. Lucid dreaming is the awareness of dreaming, though it may involve little to no control over dream events and characters. Dream control may be practiced by rehearsing dreams while awake, and attempting to guide what occurs through conscious intention before dreaming begins. Why Does Lucid Dreaming Happen? Gamma waves may trigger lucid dreaming due to their connection with consciousness and memory during the wake state. (5) These types of brain waves are not normally seen during REM sleep, and are the fastest brain wave of the five visible on brain scans. 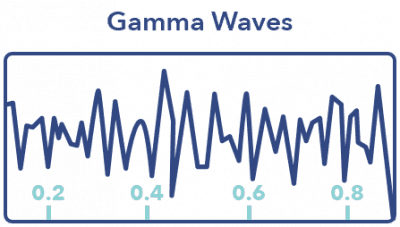 Gamma waves are notable for their tight, consistent pattern on EEG. They are typically associated with high-level information processing, insight, and relaxation. A pattern of brain waves (or neural oscillation) in human beings, with a frequency between 25 and 100 Hz. False awakenings differ from lucid dreams in that the dreamer dreams they have awakened and are going about their normal waking life, when in reality they are still asleep. False awakenings may be associated with sleep fragmentation, as well as the overlapping of the sleep and wake states. Fragmentation may occur as a result of a sleep disorder such as sleep apnea or restless legs syndrome, or due to another disturbance to sleep such as noise or light. False awakenings seem to be remembered more frequently than typical dreams, and occur just before awakening for the day. Harvard psychologist Deirdre Barrett studied the dreams of 200 subjects, and discovered that false awakenings were more likely to occur before, during, or after a lucid dream. Because a false awakening is a dream and not bound by narrative limits, more than one false awakening may occur within a false awakening dream. This is called a double dream, or a dream within a dream. Similar to the false awakening is the continuum dream. In a continuum dream, the dreamer believes they are still awake and that dream events are occurring during the waking state, when they are occurring during sleep. 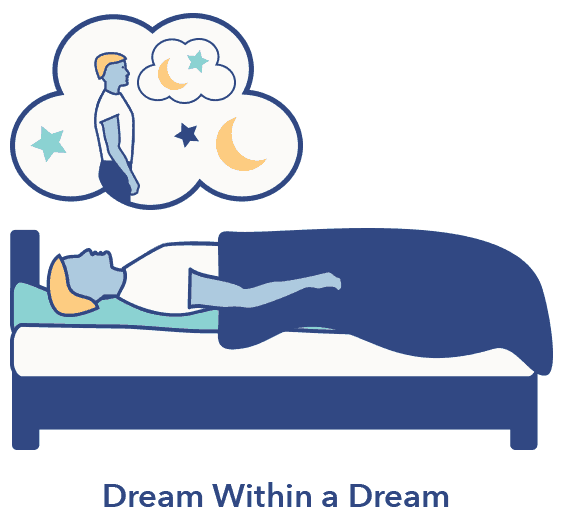 Because continuum dreams tend to happen during the first stage of sleep when muscles are not paralyzed as they are during REM, the dreamer may respond to certain parts of the dream by moving or speaking. Lucid dreaming may be beneficial as a type of therapy, for nightmares in particular. Some studies have shown that using lucid dreams along with guided imagery and relaxation techniques can lead to a significant reduction in the frequency of nightmares. Most study participants reported improvements in recurrent nightmares, and some reported improved sleep overall. Interestingly, while some participants were unable to experience lucid dreams, they, too, reported an improvement in recurrent nightmares. This may support the idea that simply the notion of exercising control over nightmares could be sufficient to reduce their frequency and intensity in some sufferers. Can lucid dreaming cause sleep paralysis? Sleep paralysis occurs when the mind wakes during REM sleep, but the muscles remain paralyzed by neurotransmitters that prevent the acting out of dreams. Because lucid dreaming involves a level of consciousness during REM sleep, a lucid dreamer may simultaneously experience a brief episode of sleep paralysis. Lucid dreams may sound like something from fiction, but studies and reports from lucid dreamers show that they are quite real. 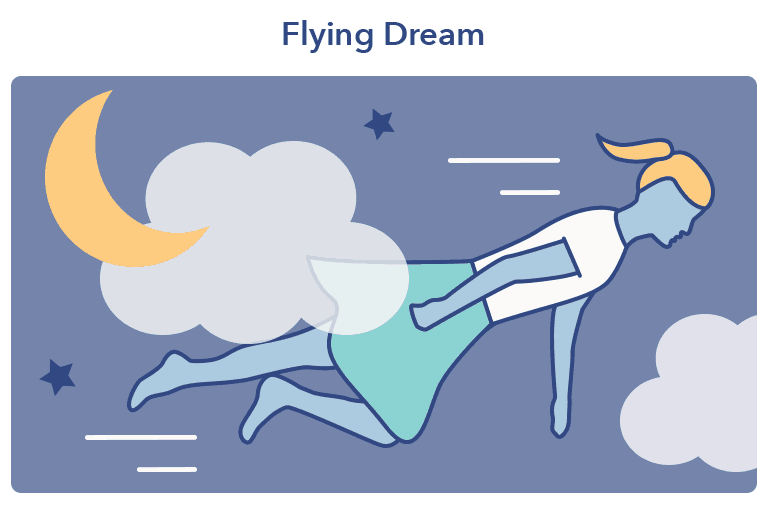 These types of dreams offer a tantalizing glimpse into the world between consciousness and REM sleep, when brain activity allows awareness to penetrate the sleep state. For many people, lucid dreams offer a feeling of power over the mind (9) during a time when consciousness and awareness are typically absent. The more we understand about lucid dreaming, the better we may understand the connection between the waking and sleeping psyche, and the more accessible our deepest reveries may become.